AleaSoft will be involved in a session on the historical evolution of daily market prices and future market price predictions. The presentation to be given by AleaSoft’s CEO Antonio Delgado Rigal, will focus on the decisive factors in the future evolution of market prices. For the wind power sector a medium-term forecast of market prices is essential in order to decide whether to change the remuneration system permitted by law (Royal Accord 661 of 2007), since during one year they may be covered by the regulated or market tariff, while in the long term such price forecasts play an essential role in planning investments and divestments. AleaSoft is a partner of the AEE and is involved in the “Prices Working Group”,while also cooperating with the association on drawing up the “Monthly Long Term Daily Market Price Forecast Report”. 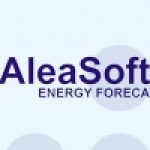 AleaSoft provides consultancy services on electricity market price forecasts and future price reports to the leading companies in the energy sector, for the purpose of making investments, divestments and, mainly, taking decisions for the mid-term and long-term future.